Decimation in the Roman Army – Brutal! Decimation (Latin: decimatio; decem = “ten“) was a form of military discipline used by senior commanders in the Roman Army to punish units or large groups guilty of capital offences, such as mutiny or desertion. The word decimation is derived from Latin meaning “removal of a tenth”. 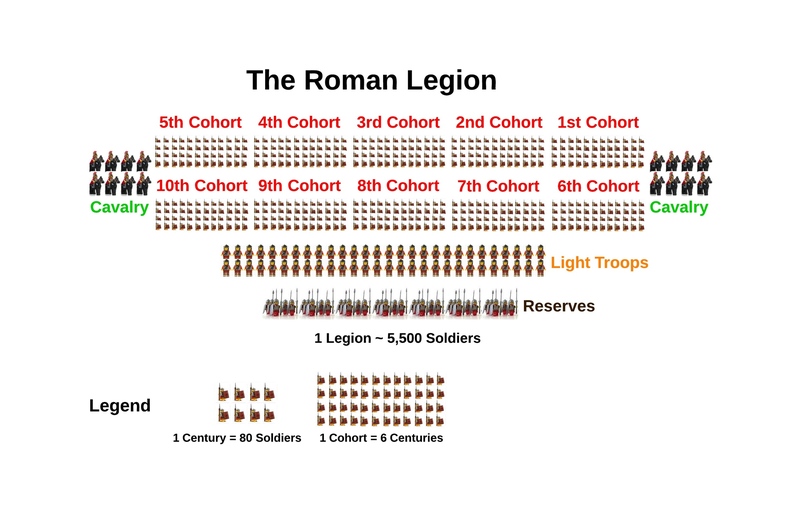 A cohort (roughly 480 soldiers) selected for punishment by decimation was divided into groups of ten. Each group drew lots (sortition), and the soldier on whom the lot fell was executed by his nine comrades, often by stoning or clubbing. The remaining soldiers were often given rations of barley instead of wheat (the latter being the standard soldier’s diet) for a few days, and required to camp outside the fortified security of the camp. The earliest documented decimation occurred in 471 BC during the Roman Republic‘s early wars against the Volsci and is recorded by Livy. In an incident where his army had been scattered, consul Appius Claudius Sabinus Regillensis had the culprits punished for desertion: centurions, standard-bearers and soldiers who had cast away their weapons were individually scourged and beheaded, while of the remainder, one in ten were chosen by lot and executed. Plutarch describes the process in his work Life of Antony. Decimation was still being practised during the time of the Roman Empire, although it was very uncommon. Suetonius records that it was used by Emperor Augustus in 17 BC and later by Galba, while Tacitus records that Lucius Apronius used decimation to punish a full cohort of the III Augusta after their defeat by Tacfarinas in AD 20. During the Battle of Breitenfeld (1642), near Leipzig, one of the many battles of the Thirty Years’ War, Colonel Madlon’s cavalry regiment was the first that fled without striking a blow. This was followed by the massive flight of other cavalry units, which was the final turning point in the battle. The battle was a decisive victory for the Swedish army under the command of Field Marshal Lennart Torstenson over an Imperial Army of the Holy Roman Empire under the command of Archduke Leopold Wilhelm of Austria and his deputy, Prince-General Ottavio Piccolomini, Duke of Amalfi. Archduke Leopold Wilhelm assembled a court-martial in Prague which sentenced the Madlon regiment to exemplary punishment. 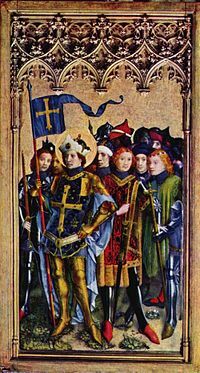 Six regiments, which had distinguished themselves in the battle, were assembled fully armed, and surrounded Madlon’s regiment, which was severely rebuked for its cowardice and misconduct, and ordered to lay down its arms at the feet of General Piccolomini. When they had obeyed this command, their ensigns (flags) were torn in pieces; and the general, having mentioned the causes of their degradation, and erased the regiment from the register of the imperial troops, pronounced the sentence that had been agreed upon in the council of war, condemning the colonel, captains and lieutenants to be beheaded, the ensigns (junior officers) to be hanged, the soldiers to be decimated and the survivors to be driven in disgrace out of the army. Ninety men (chosen by rolling dice) were executed at Rokycany, in western Bohemia, now in the Czech Republic, on December 14, 1642 by Jan Mydlář (junior), the son of Jan Mydlář, the famous executioner from Prague. On the first day of the execution, the regiment’s cords were broken by the executioner. On the second day, officers were beheaded and selected men hanged on the trees on the road from Rokycany to Litohlavy. Another version says that the soldiers were shot, and their bodies hanged on the trees. Their mass grave is said to be on the Black Mound in Rokycany, which commemorates the decimation to this day. Italian General Luigi Cadorna allegedly applied decimation to underperforming units during World War I. However, the military historian John Keegan records that his “judicial savagery” during the Battle of Caporetto took the form of the summary executions of individual stragglers rather than the formalized winnowing of entire detachments. Certainly one specific instance of actual decimation did occur in the Italian Army during the war, on 26 May 1916. This involved the execution of one in ten soldiers of a 120 strong company of the 141st Catanzaro Infantry Brigade, which had mutinied. Officers, carabinieri and non-mutinying soldiers had been killed during the outbreak. Decimation can be also used to punish the enemy. In 1918, in the Finnish Civil War, the White troops, after conquering the Red city of Varkaus, summarily executed around 80 captured Reds in what became known as the Lottery of Huruslahti. According to some accounts, the Whites ordered all the captured Reds to assemble in a single row on the ice of Lake Huruslahti, selected every tenth prisoner, and executed him on the spot. The selection was not entirely random though, as some prisoners (primarily Red leaders) were specifically selected for execution and some good workers were intentionally spared. Outside of references to the historical punishment, the word decimation in English is used to refer to an extreme reduction in the number of a population or force.